CHOOSE ALL OF YOUR COLORS NOW!! USDA TERRITORY! FULL SOD YARD! 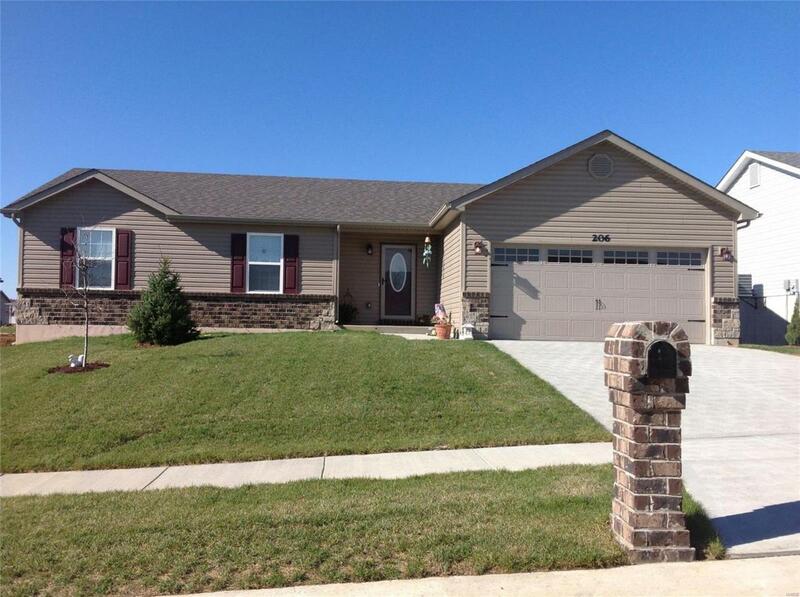 This BRAND NEW, 3 BR, 2 BA Ranch home has an inviting Entry foyer, vaulted great room, Dine-In Kitchen w/ dine at island, recessed lighting, soft close maple cabinets with HARDWARE and a PANTRY! Vaulted Master suite shows off walk in closet as well as 5' walk in shower with glass doors and double bowl, adult height vanity! Main Floor Laundry, rounded corners, 4" trim, panel doors and lever handles throughout!! 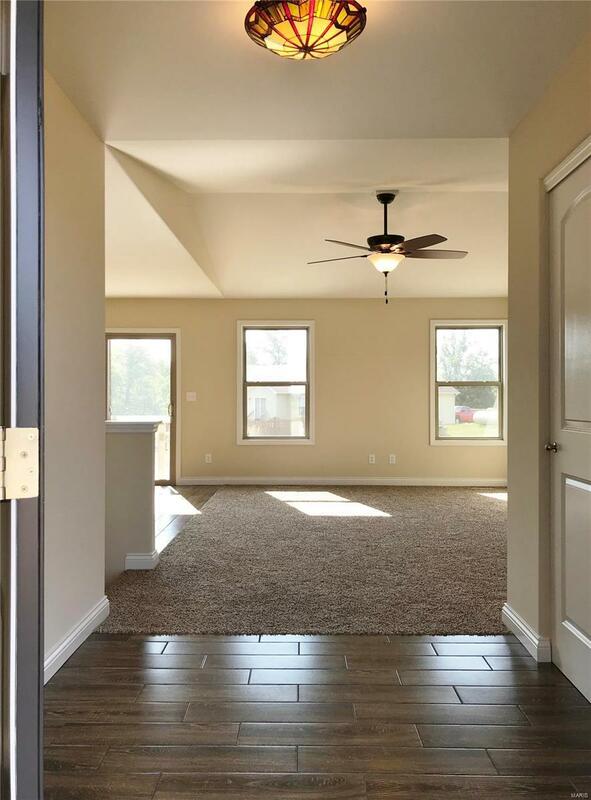 More features include: pre wire for Ceiling Fans in all bedrooms and Great Room, TV/internet/phone in all bedrooms and 2 in Great Room! 2-toned painted walls, white and YOU CHOOSE one color throughout! STAINLESS STEEL Smooth Top Stove, Microwave, Dishwasher and REFRIGERATOR!! Rough-In Plumbing in Basement, sump pump and pit, MAINTENANCE FREE Vinyl siding, Low E windows, 30 yr Architectural Shingles! Photos are of a similar home previously built, all features are not the same. Listing information © 2019 Mid America Regional Information Systems, Inc. Information from third parties deemed reliable but not verified. Data last update 2019-04-20T22:48:57.327.